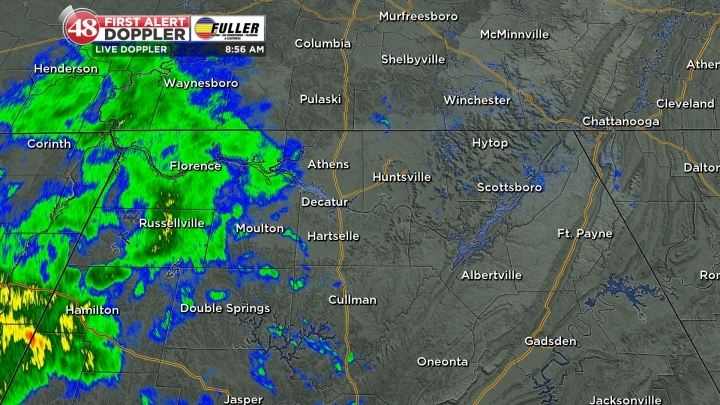 (WAFF) - Strong thunderstorms are on the way out this morning. 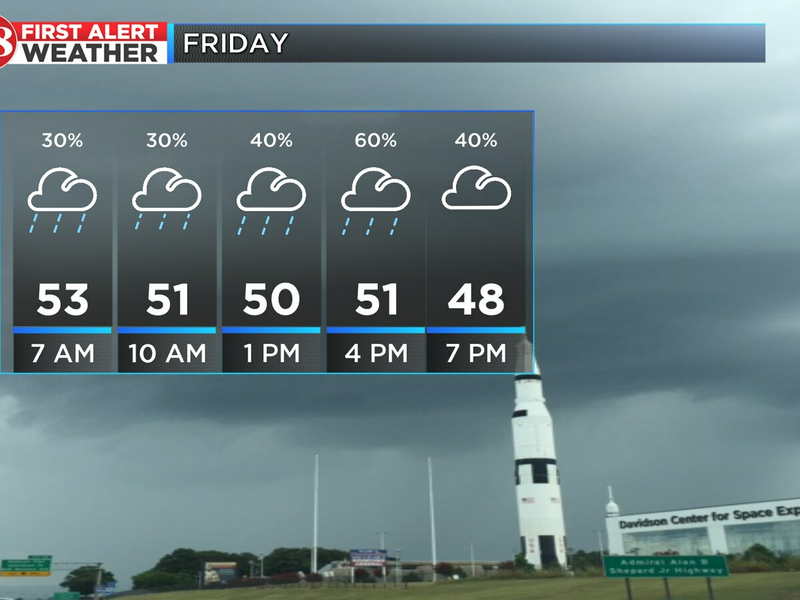 The threat for severe weather will wrap up by 8 a.m.
We will continue to monitor the potential for more showers and a few thunderstorms ahead of the main frontal boundary that will come in later this afternoon. Temperatures will drop into the 50s by 4 p.m. this afternoon and the wind will pick up from the north at 15-20 with gusts up to 30 mph. A chilly morning is on the way for Monday with morning lows in the upper 30s and lower 40s. Afternoon sunshine will warm us into the lower 60s on Monday. Expect highs in the 70s again on Tuesday and Wednesday. 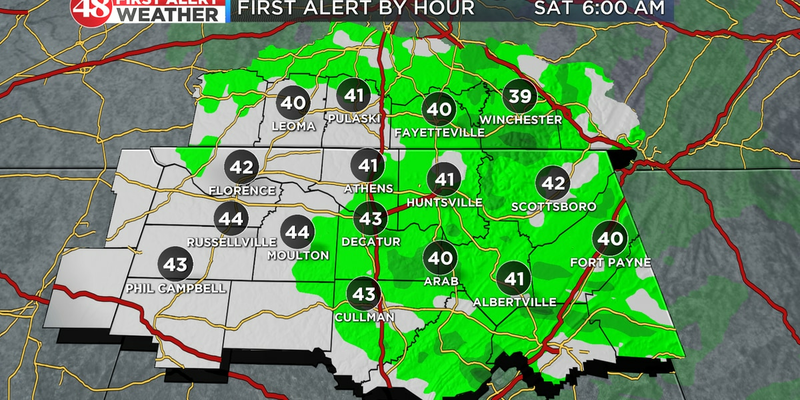 We continue with a First Alert for Thursday. 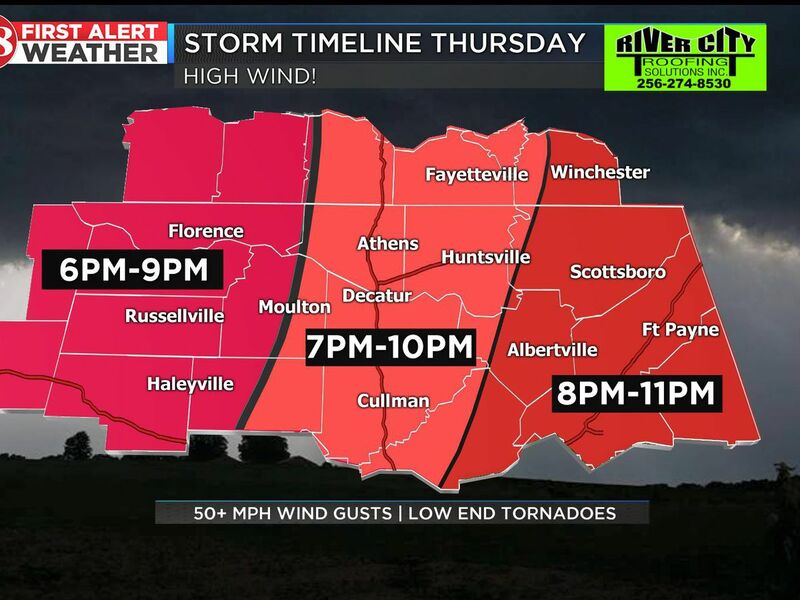 Another powerful storm system could bring us a round of strong to severe thunderstorms late Thursday morning into the afternoon.